Grab Best Nameplates | Labels | Tags Here! Order From Us & SAVE! Papillon is a proud Australian company and we are celebrating 25 years of business. During this time we have supplied an extensive range of quality nameplates, labels and safety signs across Australia. During 2012 we underwent a major upgrade in machinery, automation and technology and now offer a better priced, quality product range. ART WORK & TOOLING IS FREE! These manufacturing improvements and celebratory offers are extended to our present and future customers. We hope to continue our record of quality products with pricing and service well into the future. Please grant us the opportunity to provide a QUOTE. We guarantee you our FULL SUPPORT at all times. If you require a complete catalog, please email us your details and we will ensure that you get a copy in the mail. Visit : www.papillonaustralia.com.au for more details. Fire Fighting is the act of extinguishing fires. 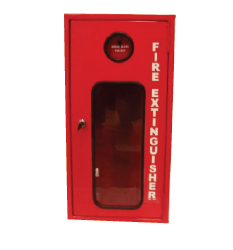 A fire fighter fights to prevent loss of life or destruction of property and the environment. Fire Fighting is highly technical skill that requires professionals who have spent years training in both general fire fighting techniques & specialized areas of expertise. We focus on quality products, great prices & fast delivery. · Fire Hoses …& many more. Our quality design expertise across an extensive range of our products is the hallmark of our ongoing success. Call :61 (03) 9764 8200 for any fire products.